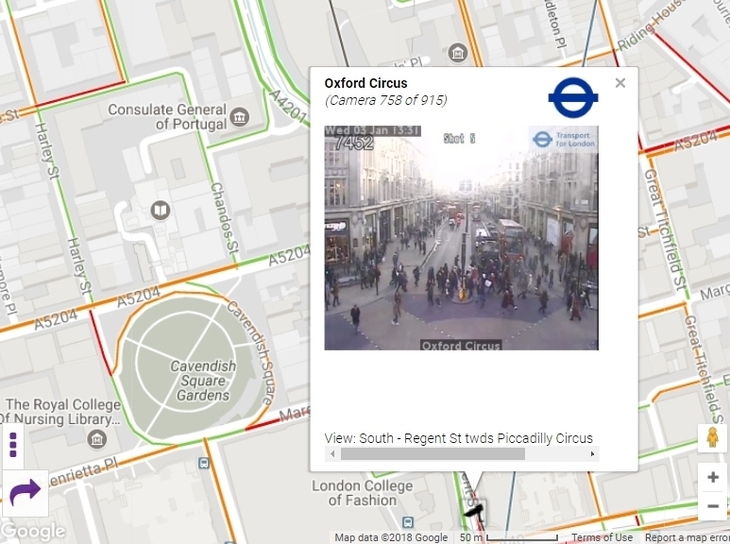 915 cameras belonging to Transport for London (TfL) watch over London's busiest roads. One website — TfL Jam Cams — maps every single one of them, from Romford to Heathrow, Cheshunt to Coulsdon. You can click on any operational camera (in black), to bring up a live image of that section of road. An initial version TfL Jam Cams was created in 2013, by Jason Brooks, to assist his work with the service control of London bus routes. Although Brooks has moved on from the role, this map is still used by his colleagues, within various bus pperators across the capital. Handy for any brave drivers ploughing through the capital, we reckon the map is also London geek fodder, offering them a live window into almost any part of the city, 24/7.